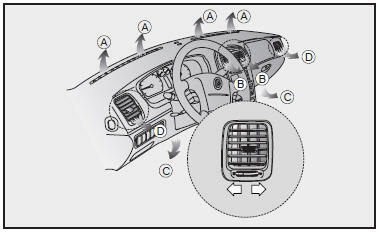 Controls the direction of air flow through the ventilation system. The air from outlet port flows at any mode. Close the ventilation outlets using the knob to block the air flow if you do not want the air.